Please scroll down the page to read the detailed information on the various Barriers available or select a product and follow the link to our online supplier soccertackle.com for the latest prices. Low cost football and rugby pitch spectator crowd barrier post and rail systems are available in high impact uPVC and steel. New PVC barriers with strong infill panels are also available for clubs that want to ensure spectators do not encroach onto the playing surface. (see picture below). We also supply various permanent steel post and rail spectator barriers with mesh infill paneling. The PVC spectator barriers are lightweight yet strong and can be removed after each game if required. The post and rail system utilizes 68mm high impact PVC posts with strengthened push button “T” connectors. The plastic posts are just as strong as steel but are much safer for players than steel barriers. We can supply and fix or just deliver direct to site for self installation. The permanent position spectator barrier is supplied with rust free plastic ground sockets that have the added advantage in that they cannot damage grass cutting equipment. A safe spiked system is also available to secure the in PVC posts where cricket squares are adjacent to the main pitch and need to be removed in the close season without damaging the playing surface. The posts and rails can also be easily strengthened if required to take extra load in areas where more spectators congregate.The steel barriers also use “T” connectors and are secured to rails by special screws. They are supplied galvanized or painted and all are concreted straight into the ground and cannot be removed once installed. For junior clubs, we provide safe low-level plastic posts with plastic chain or rope that perform better and last much longer than the cheap Far East imported post systems with dangerous spikes. At the top of the range is the new high impact plastic post system with full panelling that prevents spectators from encroaching onto the playing surface keeps spectators off the pitch. This is a brand new system that we have introduced after hearing about fatal accidents to players on old dangerous concrete and steel crowd barriers. Much safer than steel post systems yet just as strong. 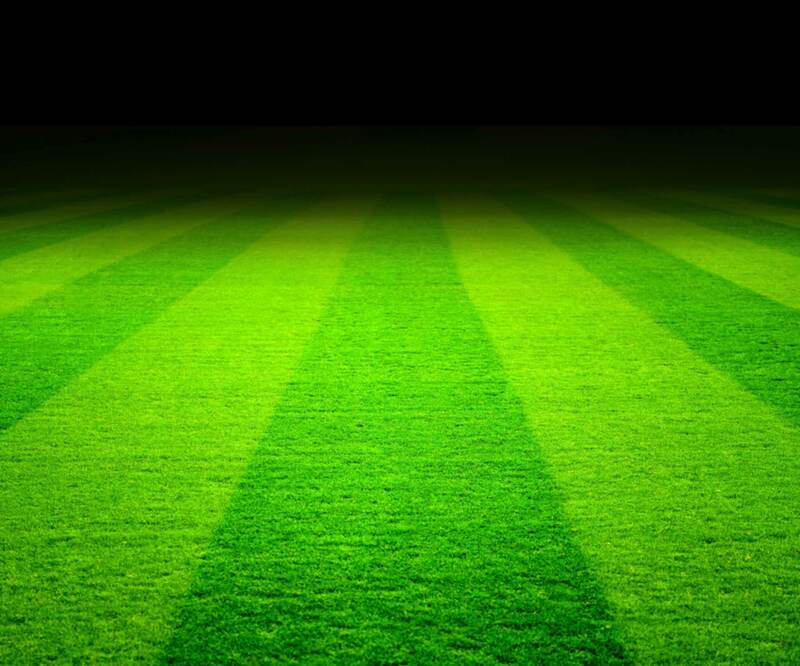 The spectator barrier can be removed at the close of the season to help grass cutting and pitch maintenance if required or it can be left in permanently. The rails are 2.4 meters wide and light weight banners or boards can be used between posts for advertising. An incredibly strong system that is much safer for players. The posts and rails can be easily strengthened in any specific areas of the pitch if required. Practically maintenance free with no painting just a wash down occasionally with hot soapy water. The posts are supported in plastic rust free ground sockets that cannot damage grass cutting equipment and allow easy alignment and leveling.. The high impact PVC post and rail system can also be supplied with safety metal spikes that enable the barrier to be positioned anywhere and moved around. These are easy to install as they require no digging and can be positioned anywhere. They can be used when football pitches adjoin cricket squares.Click here to download the Spectator barrier download leaflet with further information. If spectator barriers are required to prevent encroachment onto the playing surface then the PVC infill system is the best option. The posts are concreted directly into the ground to give stability and are solid posts with slots for the individual planks to slide into. The planks come 300mm and 150mm deep and three large planks and one small plank together is the required height. The posts have neat post caps and are maintenance free only needing an occasional wash down with hot soapy water. A sturdy strong system when installed that is designed to take lightweight removable signage. Special corner posts give a neat corner intersection and Gates for players, ambulances and grass cutting equipment can be easily made to suit different locations. This system is more expensive than a basic post & rail but looks fantastic when installed around a football pitch. Top clubs are looking at this system and ground improvement grants may be available form the Football Foundation to remove old concrete and steel systems and replace with the more modern safer alternative. We are the only company in the UK currently offering this system. Economical external signs (for use outdoors) can be supplied to attach to the PVC Barrier planking. The one shown below is 750mm high, however, signs can be made up to 900mm high and as long as required. As the signs are digital they can include full colour photographic images and logos. This is the sign we fit on each location after installation. For more information telephone our technical director on 0797 47 45 768 or email john@itsagoal.net with the length and width of your pitch. Advise how many sides you need, An estimateyour location and postcode and if you want inAn estimate will be sent back to you straight away by email. we can also supply openings for players and gates for ambulance and grass cutting equipment. Metal spectator crowd barriers are normally used when larger crowds are expected. They come in 48mm and 60mm and can be painted or supplied in a galvanized finish. They have six meter top rails that slide through “t” brackets that are screw fixed to the posts. The posts are concreted straight into the ground and are in a fixed position. Various connectors are available to make openings and corners. panelling can be fixed between the posts if required that enable advertising boards to be attached. Post distances vary the smaller the tube the more posts are required. We supply safe respect barriers with plastic chain and do not supply post rope systems with dangerous steel spikes. The posts are 68mm tube with black caps and can have plastic chain or rope attached. These systems are designed for quick installation at junior football clubs to distance spectators from touchlines. The system has full spare parts so can last as long as they are needed. A better looking system that can be supplied in most club colours, they offer better value and are much safer than the Far East products with steel spikes. A cost effective and strong touchline spectator barrier post system that is designed to last. Manufactured in 68mm uPVC with a solid cap . Available in varying options to suit the location, the ground and budget. A low cost barrier system that will out last other plastic posts and is more effective in high winds when tape and banner types that blow all over the place. We also provide RESPECT BARRIER sample packs so you can try out the Barriers first click here for details. Respect Barrier Option 1 0.8m or 0.52m high posts with nylon front ground anchor to be used with chain link . Fast and easy to assemble. Available in a pack of 11 post and 50m of chain link. 50m is ideal for the length of 1 mini soccer pitch for 5m gaps between posts. Bags are available to hold a set of 11 posts and chain. Alternativel, a low cost option for easy transportation from store room to pitch is a low cost f plastic dustbin with two handles. Ideal to carry out on match days. Respect Barrier Option 2 1m high, 0.8m or 0.52m high posts with metal ground spikes for sturdier fixing to be used with chain link. When you need a post that is very well located the metal ground spikes provide an improved fixing. They spikes do not disturb turf. Remove spikes by tapping left and right first to loosen then when you pull spike out the ground is not disturbed. Storage bins and bags are also available. Respect Barrier Option 3 1.5m high socketed upright posts with 0.5m installed underground. The height of each post from ground level is 1m. The socket is easy to fit with a post hole borer, instructions supplied. Strong nylon caps provide safe cover for the socket hole when posts are removed. To be used with chain link. Storage bins and bags are also available. Respect Barrier Option 4 0.8m or 0.5m high posts with nylon front spikes to be used with optional rope. Respect Barrier Option 5 1m high socketed posts with optional rope surrounding the pitch. ALWAYS check for underground service before inserting ground spikes or excavating sockets. We do not make respect barriers with pointed steel spikes or sharp steel pegs as these have been known to seriously injure children.